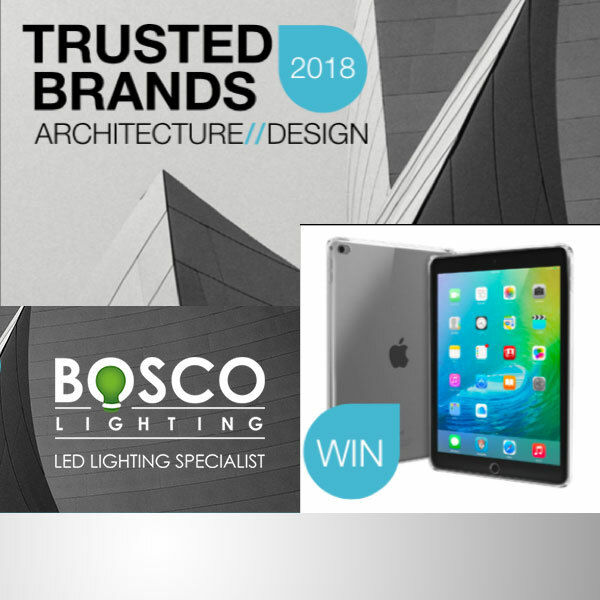 Boscolighting is honoured to be nominated Australia’s most trusted brands in the architecture and design industry, and we need your vote! By registering to vote, you will be asked to nominate your Top Trusted Brand for 2018 and automatically go into the draw to win an iPad from Apple – valued at $469! Trusted Brands is an industry benchmarking tool for assisting Australian businesses and individuals in making more informed purchasing decisions. In a commercial context, Trust is a particularly powerful influence and decision-making enabler. Since its establishment in 2012, the Trusted Brands survey has asked industry professionals to nominate their pick of the best brands within the Architecture and Design space. In doing, it provides the foremost national showcase of the most reliable and trusted suppliers within the Australian commercial market. Trusted Brands is a part of Indesign Media Asia Pacific, supported by Architecture & Design and Indesign.